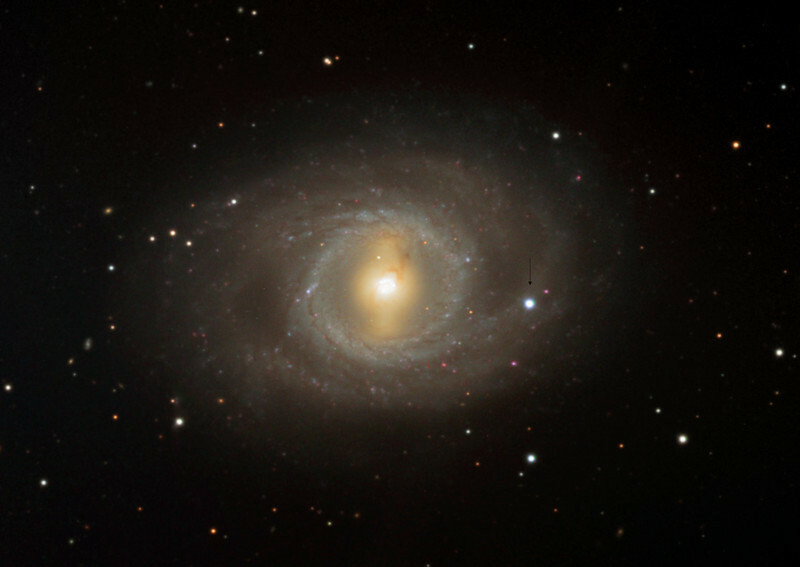 Messier 95, spiral galaxy on March 26, 2012 showing supernova SN 2012aw (below arrow right of center) which was first observed 10 days earlier. Schulman Foundation 32 inch telescope on Mt. Lemmon, AZ. Data capture and initial image reduction by Adam Block, further processing and LRGB creation by JDS in CCDStack and Photoshop. Compare to prior image in 2009.